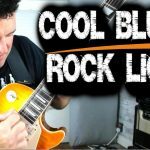 In this BB King quick licks lesson you’ll learn a great blues turnaround lick using ‘jazzy’ 9th chords similar to what BB King might play. 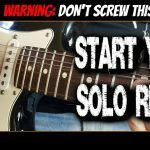 It’s the perfect way to round off your blues solos and is shown here in the key of G. Although BB didn’t play chords very often, this example shows you how to work them into your BB King style licks if you want to. Look out for more BB King licks coming very soon in my Quick Licks video series. Enjoy!